Our "Petal Fresh" Collection bloomed while simply looking outdoors. Who can resist the beauty of a fresh flower with the sights, scents and anticipation of the coming season. We hope that you enjoy this Collection as much as a stroll through a flower shop or possibly your own garden. Don't forget to have a look at the Lil Bits "Petal Fresh" for more elements and ideas to add to this Collection's creative capabilities. 7 Buttons - a great element to "hold it all together"
3 Hydrangeas - each a single bloom in a differing colour for you to put your floral designer hat on with! 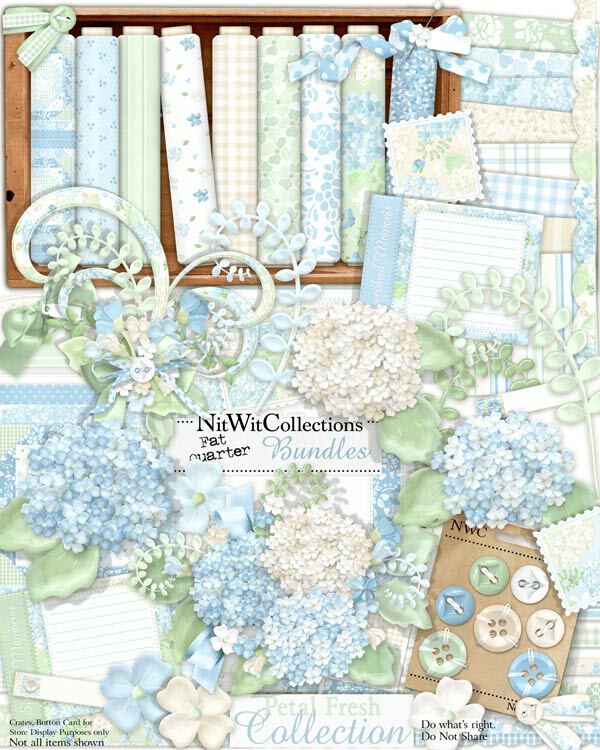 2 Journal Squares - don't miss these beautiful stationary-like elements! 1 Swirl cluster - made to order! Visit our Inspiration Gallery for larger photos and more images!